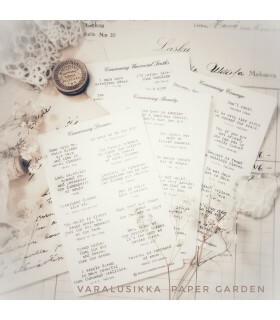 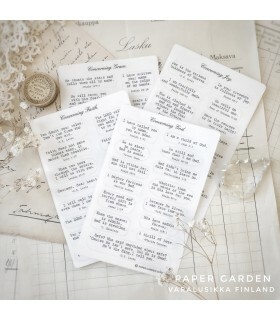 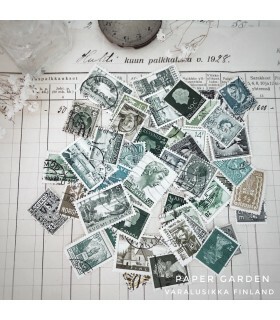 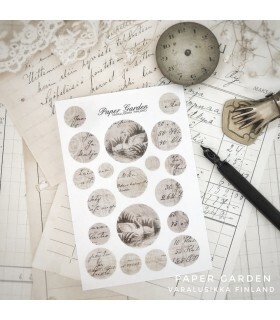 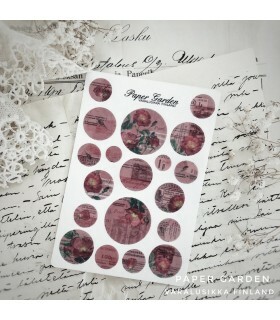 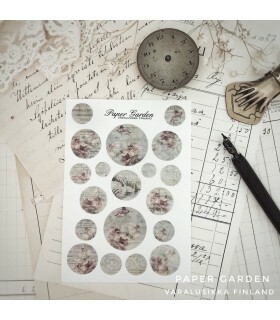 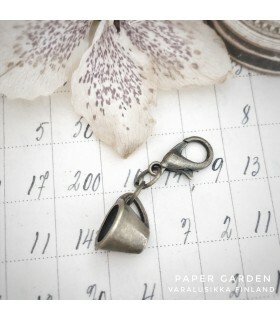 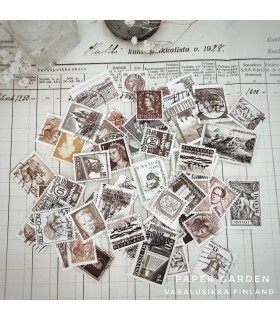 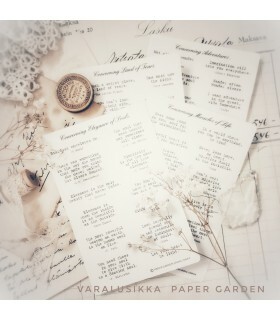 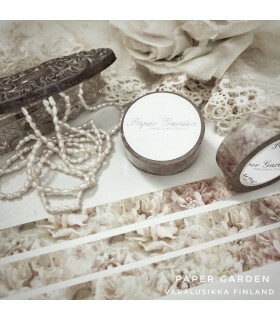 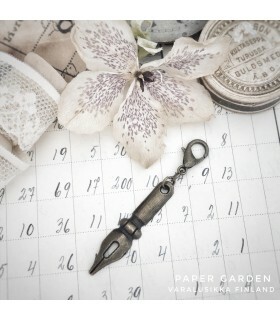 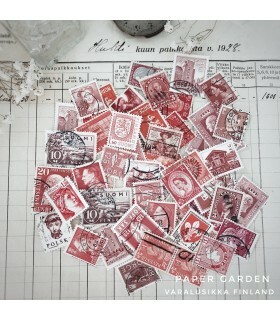 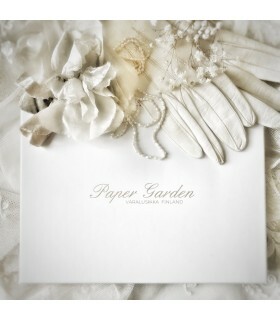 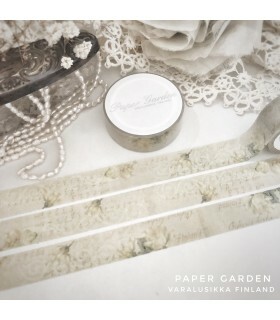 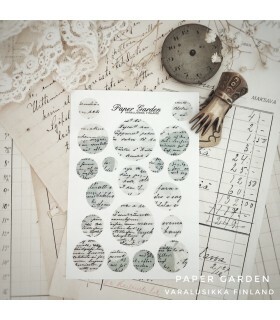 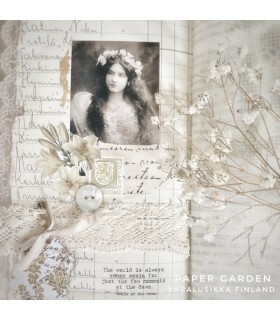 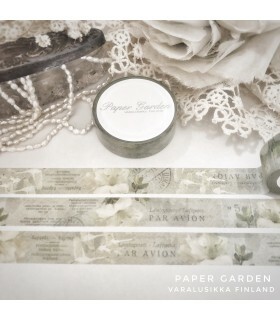 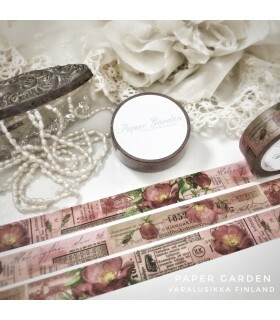 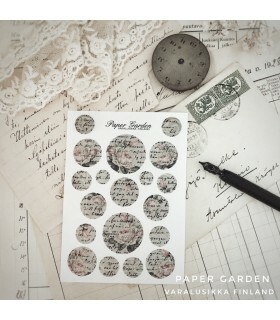 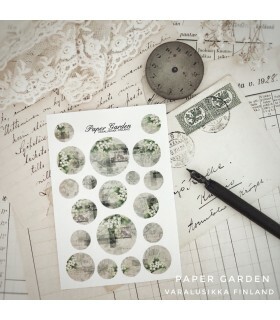 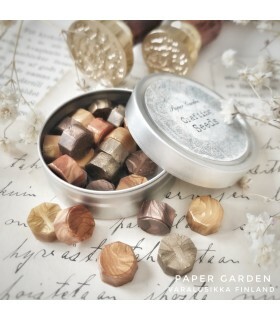 Varalusikka Paper Garden's own stickers are collages made of vintage papers in our own private collection. 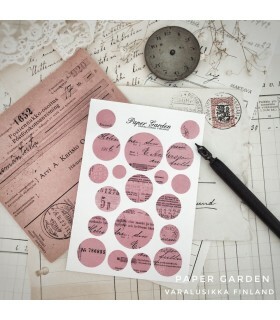 This brilliant, soft pink collage sticker sheet is made of original Finnish documents, labels, and tickets in the shades of pink, from the 1890's to 1950's. 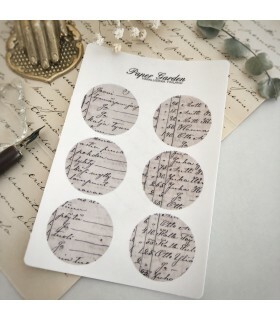 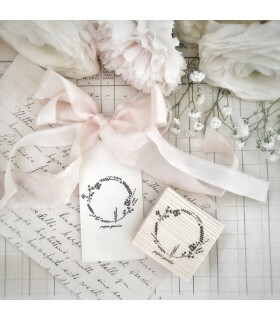 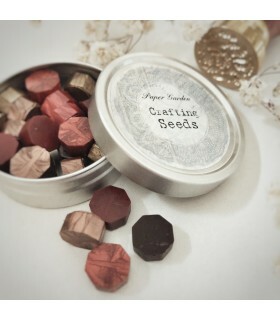 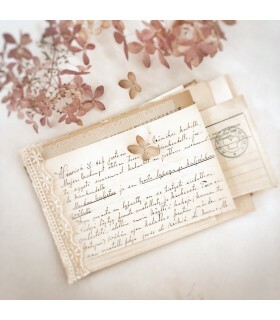 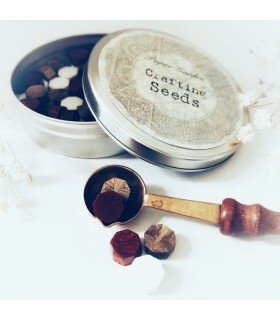 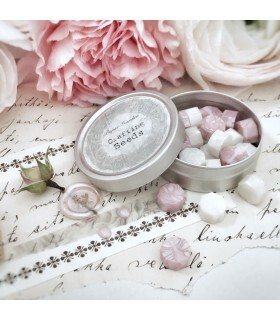 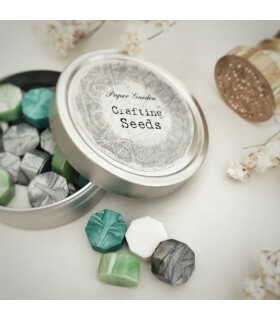 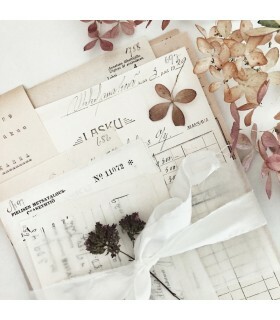 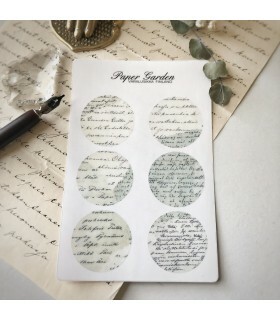 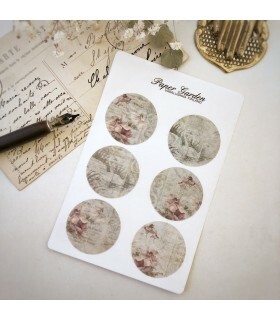 The soft, translucent, matte stickers are absolutely perfect for vintage style crafting! 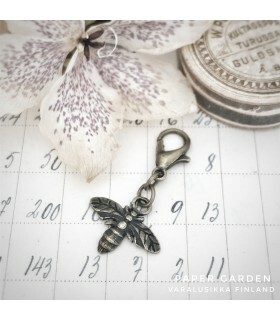 The material is translucent, matte, weatherproof polyester. 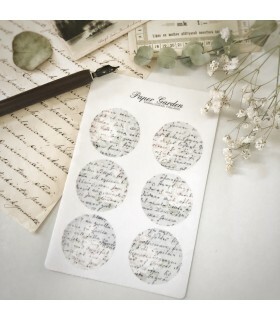 The sticker is non-transferrable, but we have tested that at least on smooth paper surfaces the stickers can be moved 3 times without any visible damage! 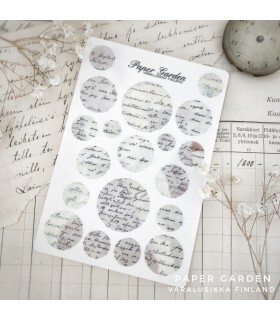 The sheet includes 6 stickers, diameter approx. 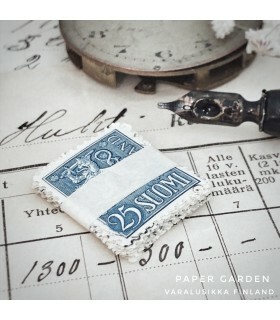 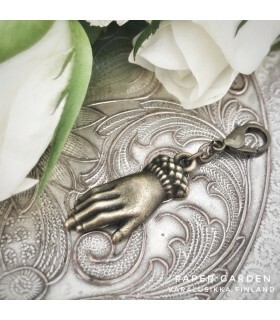 3,4cm.